As an IT consultant, G Suite users often ask, “how to download Google Apps email to Outlook?” Or perhaps, “How do I add G Suite email to Outlook 2016.” So, I aimed to write an article where readers will know relevant approaches to download G Suite email to Outlook application without any fail. G Suite or Google Apps is doing amazing in its domain, or even more than expected. It is one of the reasons that a number of small and large size businesses, from different discipline are relying upon G Suite plans. But, there are a lot of people who want to manage Google Apps messages in Outlook too. The reason can be anything like switching from G Suite to Outlook, or just for the sake of backup purpose etc. Fortunately! It is easy to export G Suite to PST without losing any message. In the upcoming segment, readers will know the two workarounds through which G Suite mail information can be easily accessed in Microsoft Outlook 2019/ 2016/ 2013/ 2010. Generally, there are two ways through which one can accomplish the process. Both the methods described here can be followed by every user. So, let’s get started! Before you use the below instructions, ensures that there is Microsoft Outlook installation in the Windows system. Plus, in Google Apps account(s), make sure that Enable IMAP option is selected and turned off the two-step authentication option. Because, in this workaround, we are going to directly add G Suite email to Outlook 365 program using IMAP settings. This can be done by automatic as well as manual IMAP configuration. Note: Here, we are using Microsoft Outlook 2016. Go to File >> Add Account. In the following window, enter email address of G Suite account and click on Connect. Once the account configured successfully, click on OK.
Click on File >> Add Account. A Welcome to Outlook screen pops-up on the screen. Here, enter the G Suite mail address and click on Advanced options. Now, check the box corresponding to Let me set up my account manually and hit the Connect button. Opt for IMAP under the Choose account type window. In IMAP Account Settings window, enter the following information. For Incoming mail setting, type ‘imap.gmail.com’ and ‘993’ for Server and Port respectively. Plus, opt for SSL/TLS for Encryption method. For Outgoing mail setting, type ‘smtp.gmail.com’ and ‘465’ for Server and Port respectively. Also, choose SSL for Encryption method. Once you have done with the previous step, click on Next. After that, enter the password associated with Google Apps account and click on Connect. Finally, click on OK to end the configuration process. After adding the G Suite account, all the mails get sync with Outlook. This workaround is good todownload Google Apps email to Outlook application. But, the same approach becomes a headache when dealing with huge email data. In fact, if the G Suite account has email approximately 53,000 and you tries to setup this account in Outlook, then this process will take entire day in email synchronization. In the meantime, MS Outlook also gets hanged and you are unable to perform any task on it. The above procedure work nice in case of few numbers of emails. But when there are a large number of emails, and user needs to export Google Apps email to PST readable format, then there is a requirement of potential and slick software. For this, try Google Apps Backup Software. This utility can be operated by G Suite admin or single G Suite account holder. It is a utility that saves an offline copy of G Suite emails without disturbing its content and integrity into importable Outlook PST format. Apart from this, one can save emails into EML/ MSG/ MBOX format. For this, you only need to perform four steps and rest of the process done automatically. Initially, successfully installed the software. Select either Single User or Domain Users. Opt for PST format and provide a location for resultant PST file. Finally, click on Start to initiate the process. 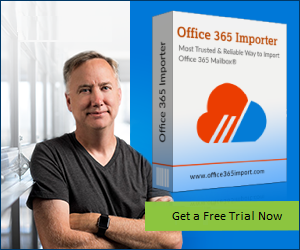 Once you have gotten the PST file, simply import them in Outlook 2019/ 2016/ 2013/ 2010/ 2007 with the help of inbuilt Import and Export wizard. That’s all about how to download G Suite to Outlook PST file format. What’s more – The features incorporated in software like bulk migration, Include folder, Delete After Download, migration of G Suite contacts, calendar, and documents are like icing on cake and worth for user’s attention. The people who want to know, How to download Google Apps email to Outlook? Or, How to view G Suite emails to Outlook dashboard? can get the answer in this post. In this article, we have illustrated two approaches that simply transfer emails of G Suite accounts into MS Outlook application. Harshita is an enthusiastic independent technical blogger, whose main area of interests are Cloud Backup and Recovery, Microsoft Office, Google Apps, Exchange Online etc.